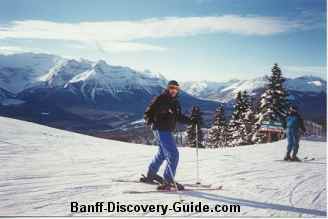 There are so many fun, exciting and enjoyable Banff things to do and see during your vacation at Banff National Park. The obvious top list are skiing and snowboarding in winter, sightseeing and hiking in summer. Besides, there are so much more. There are great events and festivals lining-up year around. Below is a list that you can use to help plan your time in Banff. Cave and Basin National Historic Site of Canada - an idea of why and how this park came to exist in the first place. Fairmont Banff Springs Hotel – Rocky Mountain Castle that Canadians cherish and protect as much as they do the Parliament Buildings in Ottawa. It is was designated a National Historic Site in 1992. The best view of this landmark hotel is from “Surprise Corner” on Tunnel Mountain Road. Banff Museums – there are various museums in the Park. Each museum has its own unique exhibition. Click here for more details of Banff Park Museums. Banff Centre – Canada’s creative leader in art and mountain culture. It hosts many events year around, include Banff Summer Arts Festivals, and Banff Mountain Film Festival. The centre also provide a gym, swimming pool with jacuzzi and kids pool, climbing wall. Canada Place - a historic building serves as the Park Canada administration office which is surrounded by beautiful Cascade Garden. It is a free family-friendly attraction. 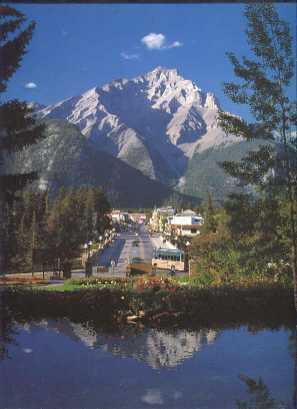 The photo below is the view of Banff Avenue from the historic Cascade Garden - one of the most recognized photographs of the Banff main street and Cascade Mountain. Banff Upper Hot Springs – This is where you go to soak away your stress and worries with beautiful mountain views. Sulphur Mountain Banff Gondola – A MUST-DO. The gondola takes you up 2,285 meters / 7,495 ft. to the top of Sanson Peak, that provides you a lifetime sightseeing experience - 360 degree stunning view of rocky mountains and valleys. Guided Tours - There are lots of exciting various guided tours and adventures you can choose year around. Self Driving Tours – Banff has 350 km / 217 miles of public roads. Most offer excellent views of the mountains, rivers and lakes of the park. If you drive, there is a variety of driving and sightseeing tours you can do during your trip. If you want to know what Banff events offer, please click here for more information.